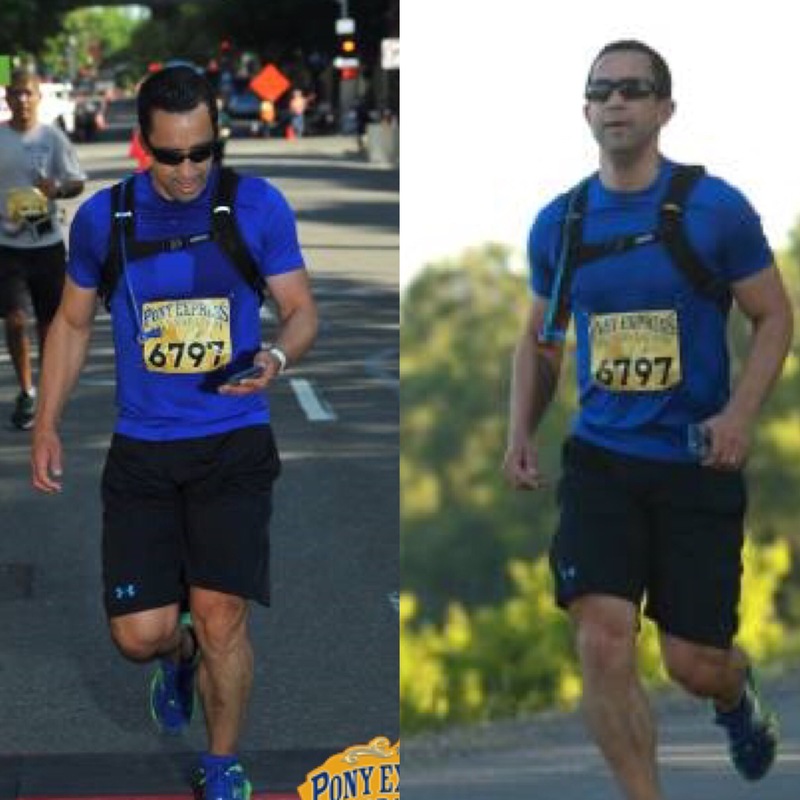 On Sunday, 1 May, I took part in the Pony Express Half Marathon in Sacramento, California. 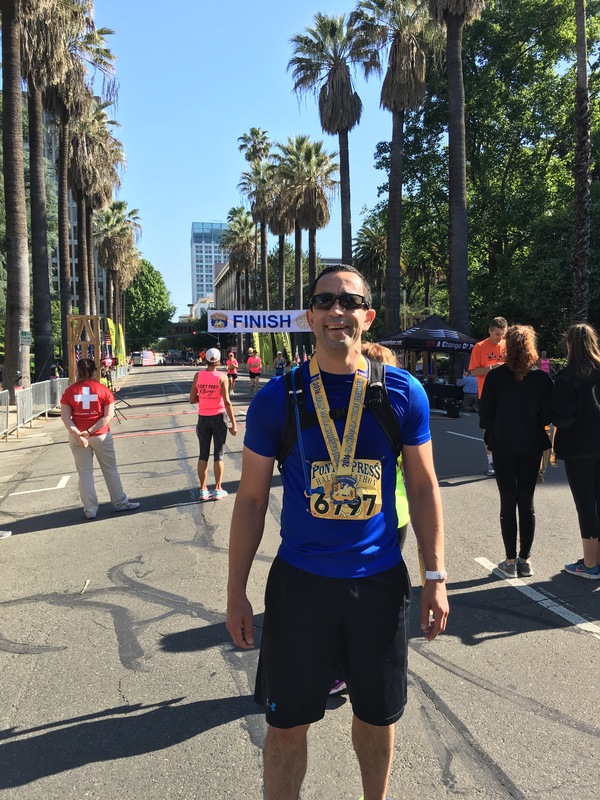 One of my friends from the UK was visiting the Bay Area and wanted to get a race medal from the USA. We left my place at 4:30 am on Sunday morning and drove the one and a half hours to Sacramento. I wasn’t feeling particularly confident about the prospects of a good time because I hadn’t trained as much as I wanted to. My long runs were nonexistent and the day before I’d had a 3 hour testing for my red stripe in Kuk Sool Won. Excuses, excuses. I know. Anyway, we lined up near the Capitol Building and the start pistol eventually sounded about 10 min late. We decided that we would just run to finish not to push for a PR or anything like that. My friend had just completed the Brighton Marathon a couple of weeks before this race so wasn’t ready to go too fast yet. 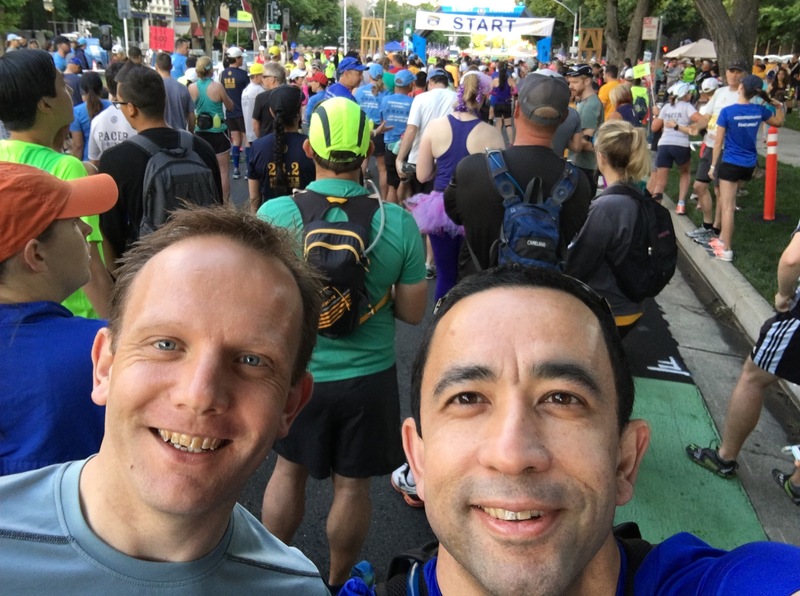 Our aim was to hit a time of about 2h5 m. He set his fancy Garmin Forerunner 920xt (check out this great review by DC Rainmaker) to help us keep the right pace. During the first half of the race we were ahead of the pace and feeling pretty good. I knew we’d slow down in the second half but we figured we’d get some minutes in the bank just in case. We finished 10km in around 57m. 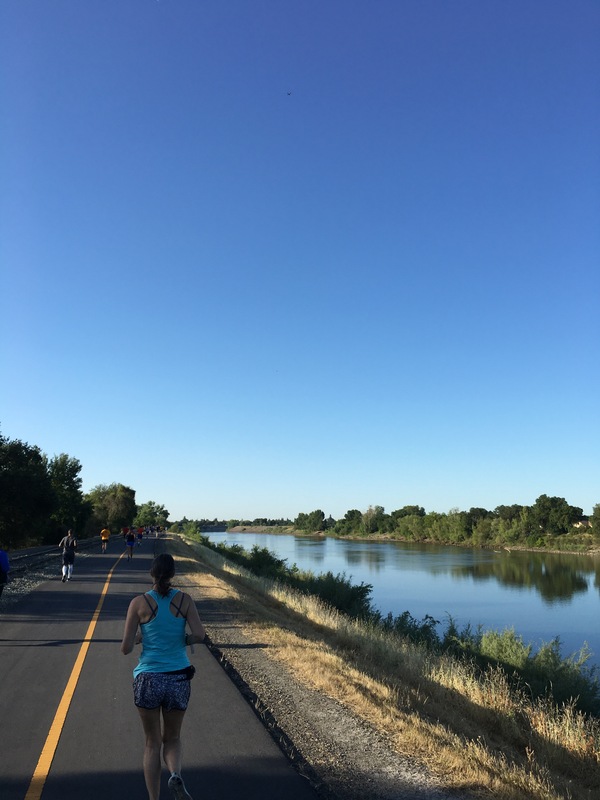 The first half of the course takes you over the Tower Bridge and then along the Sacramento River Bike Trail. This was a gorgeous section of the race and I could appreciate the calm water of the river because I was still feeling ok. The second half of the course goes through residential areas with beautiful homes and well-manicured lawns. As predicted, we did slow down over the second half of the race. There was a well-stocked water-station at every mile handing out water and electrolytes. In the second half, we walked through most of these to give our legs a short break. This helped a lot because I developed a blister on my right heel (wrong socks!!) and all the kicking from the testing the day before was catching up with me. Anyway, despite the blister and the tired legs, we still finished strong and came in at 2h11min. Slower than we’d planned, but not by too much. I was extremely happy with that time given that I’d not trained as hard as I should’ve. It was a great way to catch up with my friend – we hadn’t seen each other in about two and a half years. All-in-all, a well organised race along a nice course. Enough water stations with friendly and efficient volunteers who were in good spirits throughout. The course was well-marshaled with race volunteers and the local police force at some of the busier intersections. There was a great selection of post-race goodies too – water, chocolate milk, fruit, pretzels and craft beer from Yolo Brewing. I definitely recommend it and I’m planning to return next year.